By Miriam Valverde on Friday, April 7th, 2017 at 11:54 a.m.
President Donald Trump said he ordered a targeted military strike on a Syrian airfield on April 6, 2017. Two days after a chemical weapons attack in Syria killed more than 80 people, including children, President Donald Trump ordered a military airstrike on the Syrian airfield from where U.S. officials say the chemical attack launched. The intervention by U.S. forces contradicts Trump’s previous contentions, made in 2013 after chemical weapons attacks in Syria, that the United States should "stay out" of the conflict. So, we wondered, does Trump’s decision to target the regime of Syrian President Bashar al-Assad, have any impact on his calls to ban Syrian refugees from entering the United States, or his calls to remove Syrian refugees already relocated to the United States? The White House has yet to signal any shift of policy. We’ve reached out to the Trump administration and will update this story if we hear back. For now, here’s what we know. 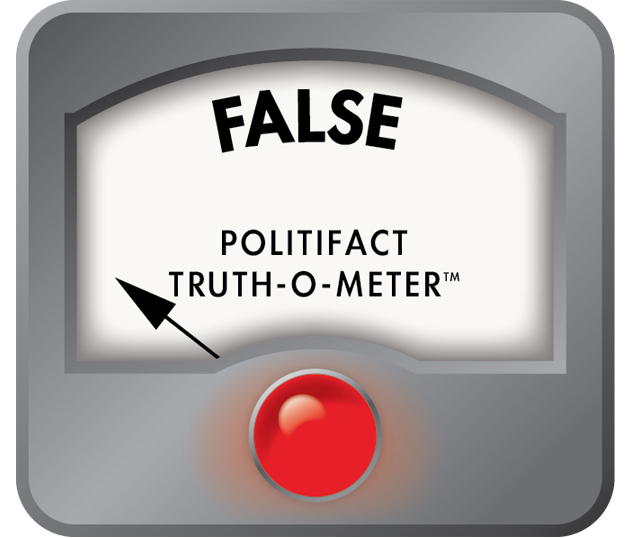 During the presidential campaign, Trump falsely claimed there’s no system to vet refugees from the Middle East and criticized his opponent, Hillary Clinton, for wanting to increase the number of refugees admitted into the country. Among Syrian refugees, "there aren't that many women, there aren't that many children." in an interview on ABC "This Week"
And instead of bringing them to the United States, Trump said they should be relocated to a safe zone. "Take a big piece of land in Syria and they have plenty of land, believe me. Build a safe zone for all these people, because I have a heart, I mean these people, it’s horrible to watch," Trump said in an October 2015 town hall. "But, they shouldn’t come over here. We should build a safe zone." Regarding Syrians who had made it to the United States, Trump promised to send them back. "I'm putting the people on notice that are coming here from Syria, as part of this mass migration, that if I win, if I win, they're going back," Trump said September 2015. They're going back. I'm telling you. They're going back." In comparison to countries such as Canada and Germany, the United States accepted few Syrian refugees during the first years of the Syrian civil war that began in 2011. A total 1,854 Syrian refugees arrived in the United States from fiscal years 2012 to 2015, according to data from the State Department’s Refugee Processing Center. Close to 12,600 arrived in fiscal 2016. As part of his promise to suspend immigration from terror-prone places, Trump signed an executive order Jan. 27 temporarily halting the entry into the United States of nationals from seven countries impacted by terrorism (Iraq, Iran, Libya, Somalia, Sudan, Syria and Yemen). That January order also intended to suspend for 120 days admissions of all refugees, and indefinitely, Syrian refugees. Opponents called the order a Muslim ban as it focused on Muslim-majority nations. Several states challenged the order, claiming it violated religious liberties guaranteed in the U.S. Constitution. Courts ultimately blocked the orders’ implementation, prompting Trump to issue a new one in March. The new directive removed Iraq from the list and continued to call for the suspension of refugee entry for 120 days, but did not indefinitely suspend the arrival of Syrian refugees. However, that order was also impeded by a court on March 15. A district judge in Hawaii granted a nationwide temporary restraining order after the State of Hawaii and a Hawaii resident, Ismail Elshikh, the imam of the Muslim Association of Hawaii, claimed Trump’s order negatively impacted Muslims and the state’s economy. On March 29, the federal judge extended his block on Trump’s directive, turning the restraining order into a preliminary injunction.